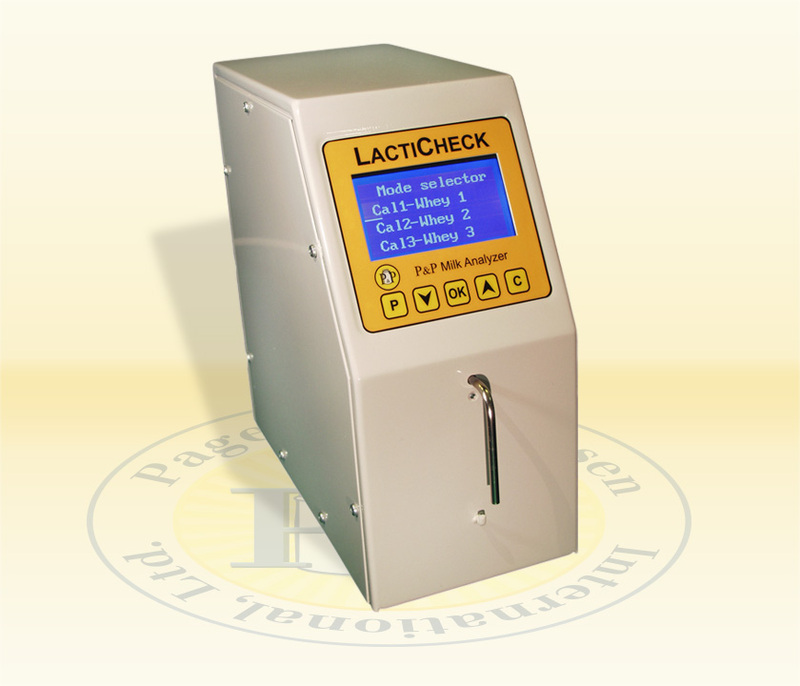 LactiWhey - a LactiCheck Whey Analyzer | Page & Pedersen International ltd.
Optimizing Outcomes Today ...and Tomorrow! Testing of whey composition at various key points in the cheese-making process facilitates effective and efficient process control. A critical control point, monitoring of whey composition maximizes efficiency in cutting, minimizes fat and protein losses, ensures greater consistency in quality and assists in optimizing yields. Offering three separate channels which can be custom-calibrated to various types of cheese or whey cream, a complete composition profile of sweet whey and acid is provided in < one minute! The newest member of the LactiCheck family provides results that can be automatically captured by a computer. Gain real-time feed-back to gauge the effectiveness of curd cutting on a batch by batch basis! Know what whey cream can be harvested. Get insight into yield potential for comparison with actual yields to make corrections that will optimize outcomes and profitability. The LactiWhey comes with 3 whey channels, so the user can fine tune the whey measurements their specific cheeses. We can also customize one (1) channel for Raw Milk, so you can do both milk reception testing and whey analyzis on same instrument. See what impact temperature and curd-cutting techniques are having on the cheese. Real-time information opens opportunities to make subtle processing changes more efficiently. Confirm that consistent composition binding is occurring during the cheese making process. Improved transparency in production allows implementation of changes in process and/or formulation that reduce losses of fat/protein in whey and optimize yields. Access the fat and protein content of whey from cheese-making to assist in making further processing decisions (including centrifugation for incorporation in other cheeses, ice cream or onward sale). Assay the protein content to confirm what volumes and quality of whey protein concentrate can be harvested.